Lewis Ferguson scored his second winner in successive Sundays as a clinical Aberdeen came from behind to win 2-1 at Kilmarnock. The 19-year-old curled home a free-kick in the 87th minute to rescue three points from a generally shot-shy performance. Kris Boyd netted his first league goal of the season for Kilmarnock from a 32nd-minute penalty and the Dons took 73 minutes to get their first shot on target. But substitute Bruce Anderson’s effort found the net as he diverted Niall McGinn’s shot home and Ferguson added to last weekend’s Hampden winner over Rangers. The defeat prevented Killie moving above Rangers into third in the Ladbrokes Premiership while Aberdeen join Livingston and Hibernian on 18 points. Boyd might have had a penalty with two minutes on the clock when he went down as Max Lowe tried to steal the ball from his toes, but referee Bobby Madden was unconvinced. The 35-year-old came close two minutes later when he headed just wide from Stephen O’Donnell’s cross. 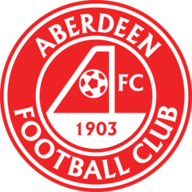 O’Donnell fired just wide from a tight angle after a one-two with Aaron Tshibola as the hosts continued to dominate, although the game was broken up by a series of Aberdeen fouls and Kilmarnock offsides. The Dons were getting little joy from a series of diagonal balls and Kilmarnock went ahead moments after the best move of the game by far. Boyd flicked the ball down the left wing following good skill from Tshibola and Jordan Jones sped away before picking out O’Donnell at the far post. The right-back saw his effort stopped by Joe Lewis but Shay Logan was penalised for a challenge on Chris Burke he had no need to make as the ball bounced beyond the post towards the byline. Boyd drove the penalty into the corner before seizing the chance to celebrate in front of the visiting fans, making reference to their critique of his weight before finishing off with a jig. Aberdeen brought on striker Stevie May for defensive midfielder Dom Ball at the interval but Killie remained comfortable and Burke was twice off-target from half-chances. Aberdeen mustered their first shot of any description midway through the second half but James Wilson’s ambitious effort went out for a throw-in and the on-loan Manchester United striker was replaced by Anderson seconds later. The 20-year-old made an instant impact. McGinn cut in from the left and aimed a curling effort towards the far post and Anderson was alive to the opportunity, getting his toe to the ball to divert it past Jamie MacDonald. Anderson is yet to start a game for Aberdeen but he is now their joint-top goalscorer in the league after his second strike of the season. 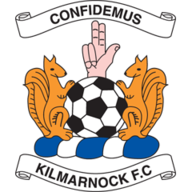 Killie stepped up a gear and Alan Power saw a 20-yard strike dip just over after a good move but they were punished after Kirk Broadfoot hauled down Graeme Shinnie as the Dons skipper charged towards the heart of the home defence. Ferguson stepped up and curled a 22-yard strike into the bottom corner to record his third goal in a Dons shirt.